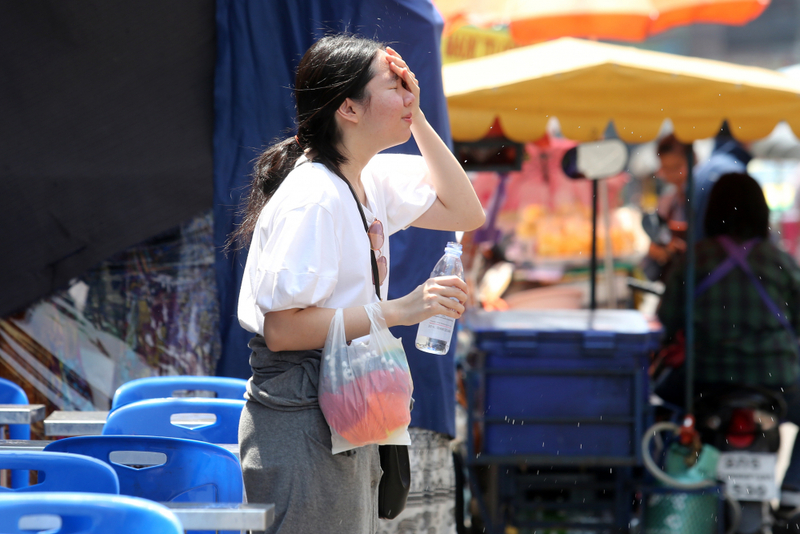 When the weather is hot, naturally our body looks for some refreshments or reacts to the temperature. Our sweat glands become active and release amount of fluid that may dehydrate us. Thailand climate is normally hot, and summer time is even hotter than the normal months. People usually go to the mall to cool themselves. Some go to beaches while others go to find a place where they can unwind and relax. In Thailand, the month of May starts with a long weekend holiday which runs from May 1 up to May 5. May 1 is the World’s Labor Day, May 2 and 3 are the regular weekend while May 4 and 5 are special holidays in Thailand. 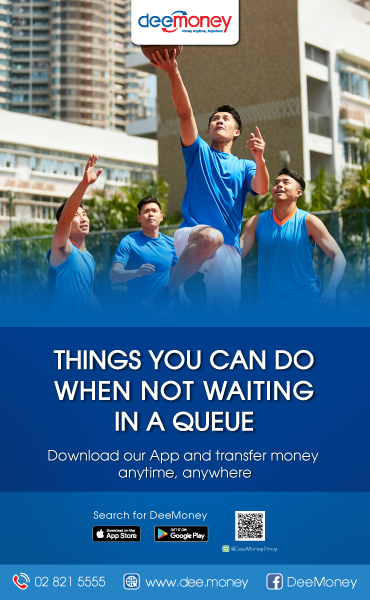 How did you spend your long weekend holiday? Halo-halo is a popular Filipino dessert made of shaved ice, evaporated milk, sweetened beans, fruit cocktails, sago, leche flan, yam jam, and/or ice-cream, etc. Halo-halo is so delicious and refreshing most especially when eaten during hot weather. In the Philippines, special halo-halo is only served in fast food chains like Chowking and Mang Inasal. 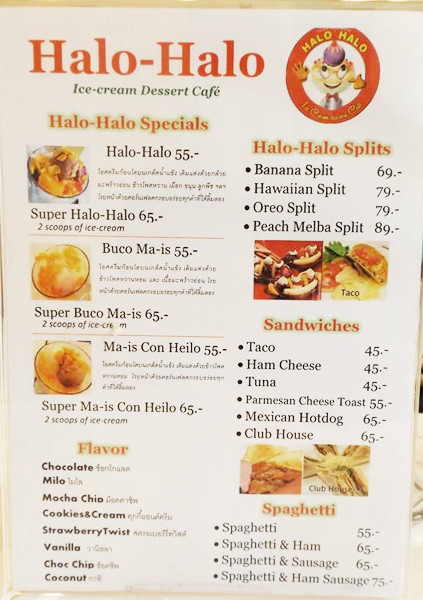 Halo-halo has a lot of variety and you can make your own version of halo-halo actually. With at least 7 different ingredients, you can already make a special halo-halo. Chowking uses 6 to 12 ingredients with its halo-halo menu and I really love it. 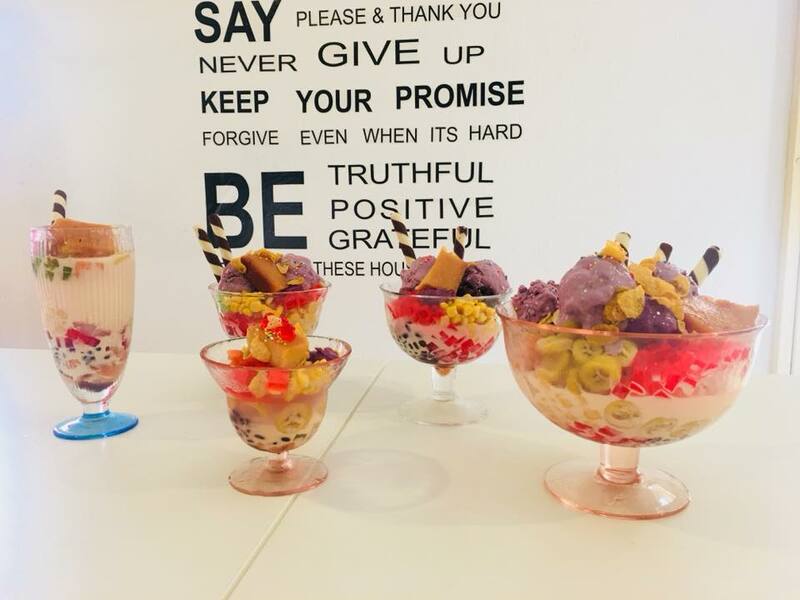 I live in Thailand for more than two years already and I never heard of any stores serving halo-halo (Pinoy version) in the Kingdom until last weekend when my friends invited me and my wife together with other friends to visit and eat in an exclusive halo-halo bar, Halo-Halo Thailand, somewhere in Samut Prakan. The hotness of the weather in the Kingdom is really burning us to the bone which invites a thirsty mouth to taste its favorite and palatable summer dessert. Halo-halo Thailand is the only Halo-halo bar in the Kingdom and visiting that place is really a great experience. The place was quite far from where we came from (Nakhon Pathom) and though we spent more time in traveling than the hours spent eating in the bar, the experience to taste our favorite Pinoy Halo-Halo paid it all. It was really amazing! I felt like I was eating Halo-halo in Chowking or in Mang Inasal back in the Philippines. That was authentic Pinoy Halo-halo! 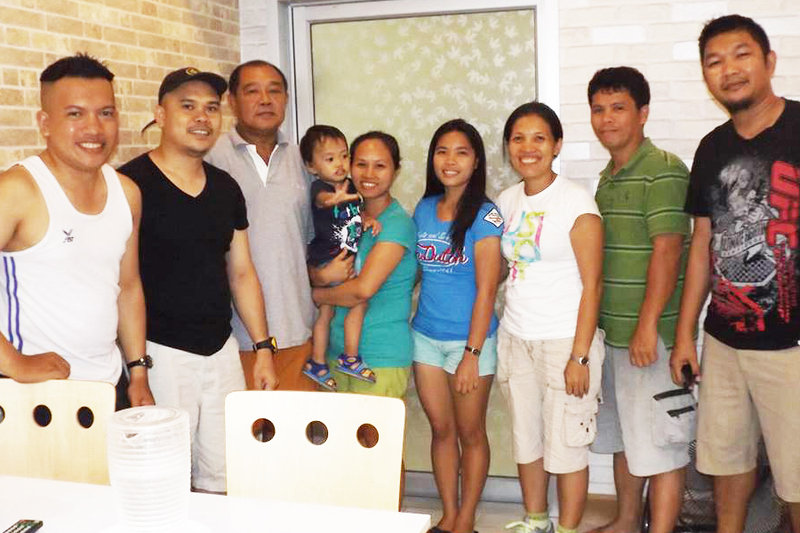 In addition, we discovered a very surprising and interesting thing because the owner speaks a little Cebuano. You could not tell you’re in Thailand when you are inside the bar. Most people are very particular of the taste and normally would compare the price to how delicious the food is. Is the price reasonable for the food I eat? Does the taste satisfy my palate? Halo-Halo Thailand, I should give 5 stars for the taste, it exceeded my expectation. Halo-Halo Thailand operates Mondays through Saturdays 10:30 to 20:00 (10:30 AM to 10:00 PM) whole year round, so whether you visit there during summer or in rainy season they are open. 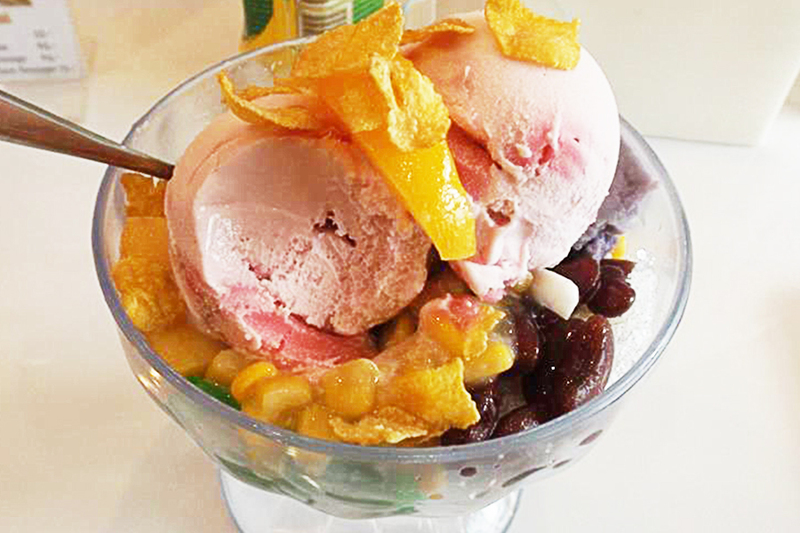 After all, Thailand is always hot so eating halo-halo is your best option to cool yourself. Their address is located at 73/31 Tippawan Village, Bang muang mai, Muang Samut Prakan, Samut Prakan, Thailand. Their telephone number is 085 966 1234. If you like this post, please don’t forget to share it with your friends. Who knows, your friend might treat you there! God bless.